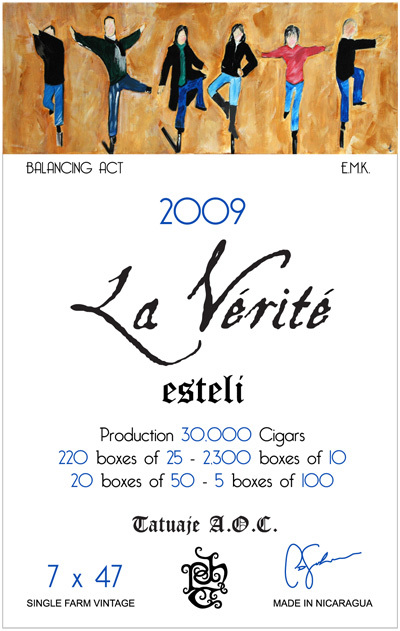 La Vérité 2013 and L'Esprit de Vérité 2013 NOW SHIPPING! The La Vérité project is a very unique undertaking by Pete Johnson that began in 2008. Using only tobacco from Pepin's La Estrella farm, from a single crop year, both La Vérité and L'Esprit de Vérité were created, making these small batch vitolas something very special. Much like a single vineyard wine, these cigars showcase the seed varietal and soil where they were grown. This first offering in 2008 used tobacco from the 2008 crop at La Estrella, which was 100% Habano Criollo. Wrapper, binder and filler are all 2008 La Estrella Habano Criollo. The 2009 crop at La Estrella consisted of Habano Criollo, Criollo 98 and Pelo de Oro. 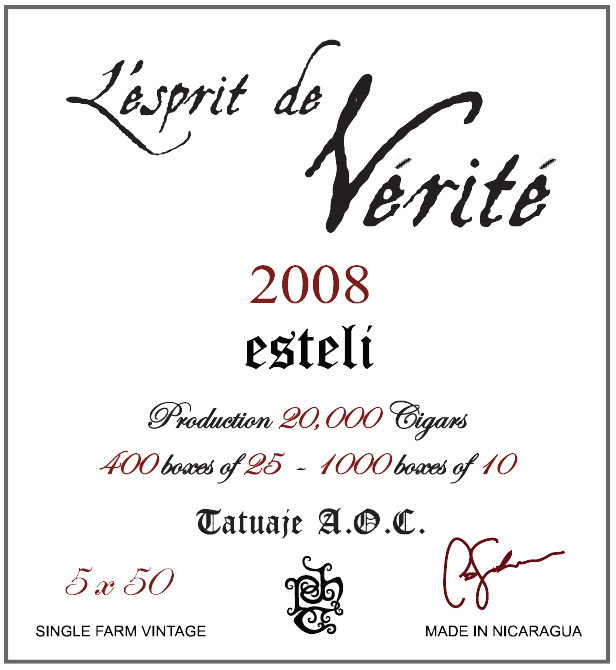 For the 2009 La Vérité and L'Esprit de Vérité vitolas, all three seed varietals were used, but in different ratios for each of the vitolas. 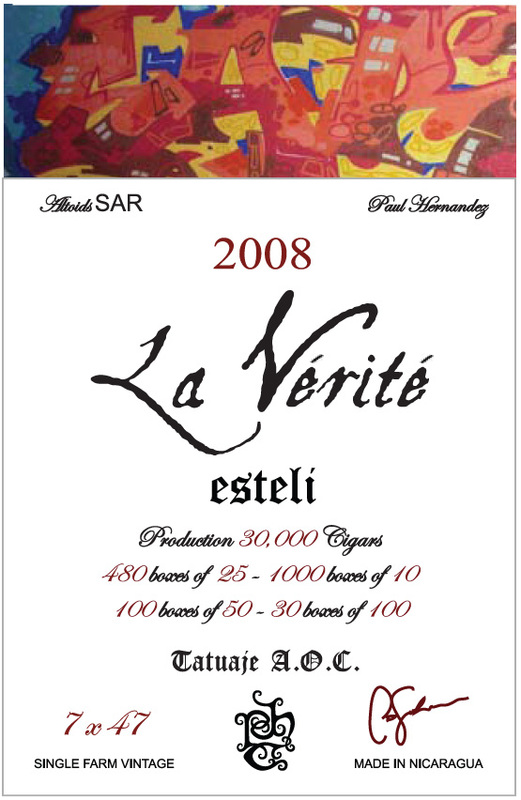 2009 La Vérité Churchill is comprised of 50% Habano Criollo, 35% Criollo 98 and 15% Pelo de Oro. 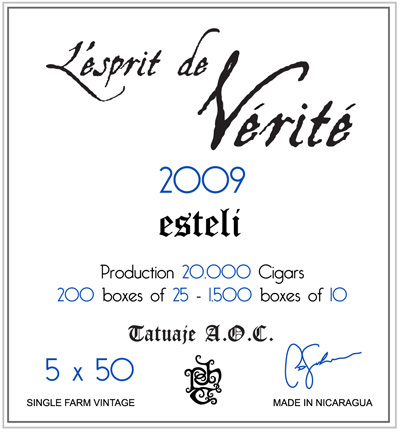 2009 L'Esprit de Vérité Robusto is comprised of 55% Habano Criollo, 35% Criollo 98 and 10% Pelo de Oro. The 2013 crop at La Estrella consisted of Habano, Criollo 98 and Corojo 99. For the 2013 La Vérité and L'Esprit de Vérité vitolas, all three seed varietals were used comprised of 55% Criollo 98, 23% Habano and 22% Corojo 99.